Do you figure that time or hard work is enough to improve your writing? Alas, it’s not — if you consider the Pareto Principle in writing…. When I worked on my BA in political science in the late 1970s some form of madness overtook me and I applied to make it an honours degree. I wasn’t entirely crazy – honours students had the right to claim desks in the poli sci reading room — and I dearly wanted a place to study, drink coffee and store my books away from home. But the professor who taught the seminar was a quirky genius who assigned the reading list from hell. Students from the previous year advised us to start reading in the summer because there was no way we’d be able to manage the book-per-week commitment once classes started. “Have particular fear of The Mind and Society,” they told us, referring to the four-volume treatise by Vilfred Pareto. My 19-year-old self had never heard of Pareto but I was plenty scared that his four books were going to count as one. You may not know Pareto either, but I’m guessing you know his rule: the 80/20 principle. Also known as the “law of uneven distribution” it suggests that roughly 80% of the effects of, well, just about anything, come from only 20% of the causes. 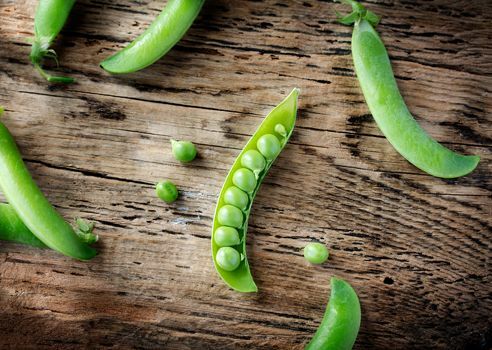 Pareto devised this principle after observing that about 20% of the peapods in his garden contained 80% of the peas. And, from there he calculated that some 80% of the land in Italy was owned by only 20% of the population. Romanian-born American engineer Joseph Juran (1904 – 2008) stumbled across Pareto’s work in 1941 and gave it renewed life in business management circles by arguing that 80% of problems are created by only 20% of the causes. Nowadays there are few people who haven’t heard of this rule. Let me emphasize that I’m not saying this rule is carved in stone. I have seen other writers tie themselves in knots trying to prove that the Pareto principle doesn’t make sense. Don’t do that! It’s a waste of time and energy. Your mother might have called this the “life is unfair” rule. And from that, we can all learn a useful lesson. Spending five years of your life writing a book does not mean that it’s going to become a New York Times bestseller. In fact, you might not even be able to find an agent, never mind a publisher. Time invested does not guarantee a positive result. Working really hard for a client does not guarantee that the client will be happy with what you’ve done. In fact, they might even loathe it. Devoting countless hours to writing without getting feedback from knowledgeable editors (or friends) won’t let you know whether your quality is improving. I think we all like to believe that if we work hard enough, we’ll reap some benefit. But hard work is not nearly enough. Instead, it’s important to work smart. To protect your time investment, figure out the most productive parts of your day and devote them to the writing that’s most important to you. Then determine how crucial it is for your writing to earn money. If you’re retired (or independently wealthy, lucky you) it may be irrelevant. But if money matters, then focus your efforts on where you can make the most of it. And, finally, if you want to address the issue of quality, then spend your time using deliberate practice to up your game. Focus on the specific challenges you face: Do you edit while you write? Stop it! Do you use dull verbs? Fix them. Do you fail to use enough transitions? Start employing them. It’s not rocket science and it’s not about the math. Instead, it’s about remembering that all effort will not pay off equally. So, make sure your writing efforts count. My video podcast last week looked at whether it makes sense to pursue a career as a journalist. Consider subscribing if it interests you. And if you have a question about writing you’d like me to address, be sure to send it to me by email, twitter or Skype and I’ll try to answer it in the podcast. How does the Pareto Principle affect your writing work? We can all learn from each other so, please, share your thoughts with my readers and me in the “comments” section below. Anyone who comments on today’s post (or any others) by Jan. 31/17 will be put in a draw for a copy of Authorisms, by Paul Dickson. Please, scroll down to the comments, directly underneath the “related posts” links, below. Note that you don’t have to join the commenting software to post. See here to learn how to post as a guest.